Let's just drop that Porsche from a crane. That'll be fun. We long knew that Porsche is made up of a bunch of engineering and design perfectionists, but we gave little thought as to what happened during behind the scenes testing. Porsche’s Weissach design center is also the location where Porsche has been since the 1960s. 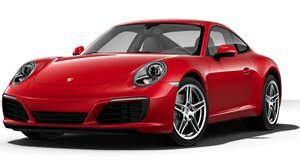 Government mandated crash testing wasn’t , but Porsche still took it upon itself to build some of the toughest and most durable cars possible. For example, it’s been testing vehicles on the skidpad for more than 50 years. The test track is also one hell of a thing, partly due to its metal potholes. 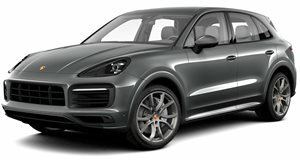 Porsche test drives cars over those potholes at 25 mph, and then through a salt water tank to test corrosion resistance. The off-road track isn’t only for Cayennes and Macans, but also for rally cars. And then there’s the crash test. Right, so before Porsche began performing the familiar brutal force impacts, it used to drop vehicles from a crane. Yes, really. Everything is much more state-of-the-art today, but it’s fun to learn about the extremes Porsche put its cars through back in the day, even something that sounds as primitive as using a crane for crash testing.